Graham Avenue south of Montrose is rapidly becoming one of my favorite places to knock around. 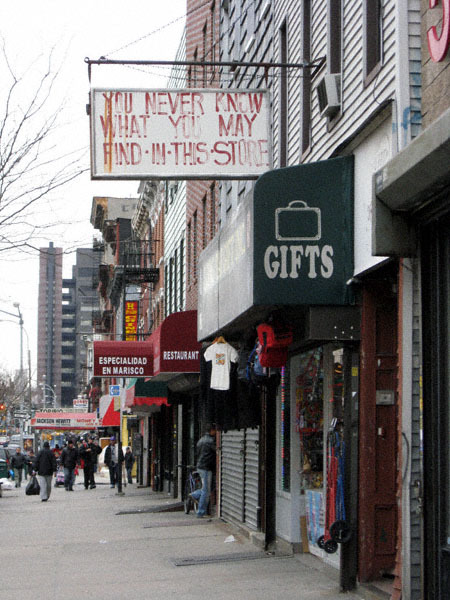 This shopping district is in my opinion one of the best experiences north Brooklyn has left to offer. Although presided over by the grim edifice that is Woodhull Hospital (which for some reason reminds of the Lars Von Trier mini-series, The Kingdom) the streets bustle with life. Some of the aforementioned activity is benign, some of it is nefarious but that’s what New York City is about, right? If I wanted to be in a sanitized environment I’d patronize an outlet mall in Jersey. The shops along this strip hawk all manner and variety of dry goods the human mind can conceive. And in the case of one store, something which even confounds my admittedly fertile imagination. When I first laid my eyes upon the above claim I was cynical. This is New York City after all. And in this— the best damned city in the world— I have seen a lot of strange stuff. What wares can this store possibly offer that set it apart from its peers? 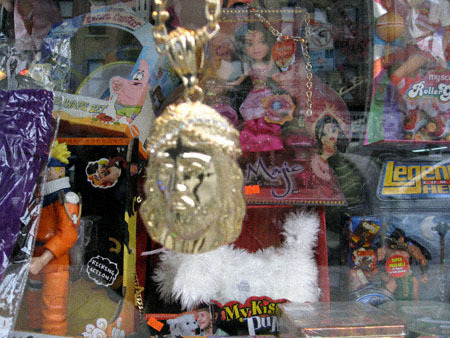 The toys strike me as being rather pedestrian but I have to admit this Jesus necklace is pretty impressive. 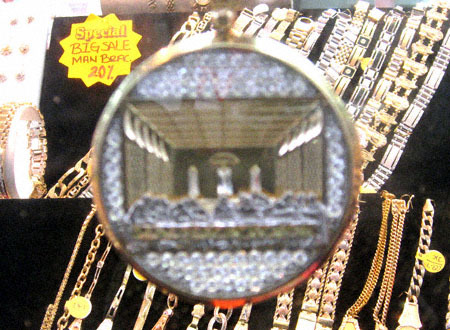 But why would I outlay my hard-earned dough on just Jesus when I can purchase a pendant brandishing the Last Supper just down the street? I know a bargain when I see one: this is like getting thirteen Biblical figures for the price of one! Okay, they have me on this one. 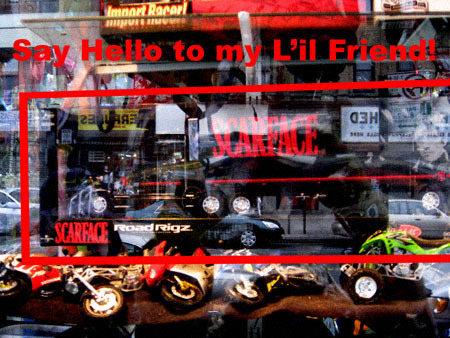 Not only have I never seen an eighteen wheeler emblazoned with Scarface’s visage, I didn’t know a market for such an item existed. Wow.